When any Police agency puts up an advertisement in the newspaper or a magazine for a police officer’s position, it often reads as: “Wanted: Police Officer to protect life and property and secure the safety of citizens. The work environment may be physically demanding, stressful and dangerous.” The inherent perils that come with the profession are not detailed in the job prerequisite. Whether an officer has been on the job for a day, a year, a decade, or more there is the ubiquitous chance of that officer being involved in a traumatic episode. Beyond the yellow tape there is no exhilaration, but a chance for wisdom to triumph and ire to behold. What actually lies beyond the yellow tape is never observed by the public, let alone fully comprehended. Police Officer who is the first responder witnesses the trauma in its raw form, sometimes too grim for us to even imagine. 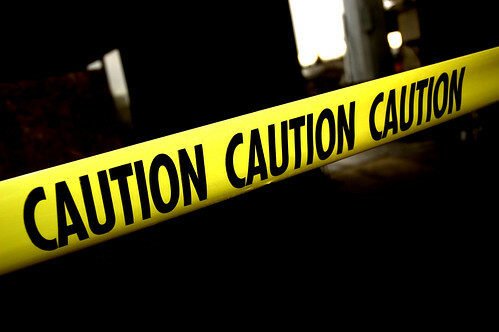 Caution tape, also known as warning tape, police tape, or construction tape is an enduring plastic tape of a signal color or highly contrasting color combination, such as yellow-black to capture the attention of the onlookers. This tape is used to secure the crime scenes by demonstrating that entrance will be refused to people who are not sanctioned to be in the area. 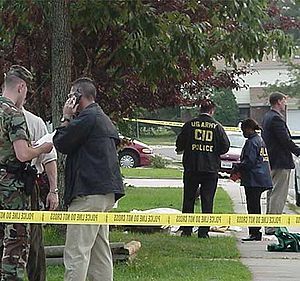 The aim of the crime scene tape is to build a blockade that will avert contamination of the crime scene, and to make sure that a crime scene’s integrity is protected while a crime is investigated. crime, or against managing broken down machinery. It carries consistent alerts particularly noticeable in writing. The tape may refer to the particular agency doing the investigating, such as Police or a government agency concerned with national security and criminal investigations. Caution Police tape does not always mean that a murder has taken place. It can mean many things, for instance, “break and enter” has taken place, or someone who lived there was taken to a hospital, and the person responsible for the crime might still be “at large”. The Police tape is meant to protect the crime scene, officers and the public. The bright yellow plastic tape may say POLICE LINE DO NOT CROSS or it may say CAUTION. These warnings are easy to understand and one would wonder why would anyone try to cross through the tape and into crime scenes and dangerous areas. Sadly it happens often. The officer on scene is responsible for anything good or bad that happens at that scene, and that officer will be held accountable for it. You can be arrested for meddling, hampering, and opposing a police officer for crossing a police line. This charge carries a possible prison sentence. Police line tape is used to keep people away from a hazard. 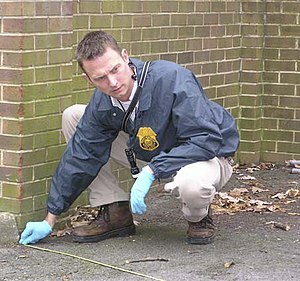 Downed power lines, gas leaks, fire scenes, barricaded gunmen or any number of hazards may need cordoning off an area. If the officer allows a citizen into a restricted area and he/she gets electrocuted by a downed power line, gets blown up lighting a cigarette near a gas leak, or gets shot by a barricaded gunman, the officer on duty will be held responsible. That officer who “failed to protect” the citizen could be liable under the civil law. Citizens often demand entry into the restricted area since sometimes they are the homeowners near the hazard area or they do not want to travel out-of-the-way. Some people get annoyed. In this case, the police verbally cautions the public not to enter the scene. Some have to be physically barred from the scene, which is the last step before arrest. scene, they can leave evidence behind and can take evidence from the scene with them. Also it is forensically significant that only the investigators who are collecting evidence be allowed in a crime scene, so that the evidence is not unintentionally adulterated. In order for Justice to prevail, we must extend our full co-operation to the Police Officers. This entry was posted in Uncategorized and tagged Caution tape, Crime, Crime scene, Forensic science, Police, Police officer. Bookmark the permalink. 39 Responses to Police Yellow Tape-Protects the sanctity of the crime scene. Excellent post, Samina! Cooperation is indeed key. Have a great week! Thank you so much Jill. You too have a great week. Take care. I do agree with you a Police Officer’s job is not easy if we consider all the aspects. Yes we have come a long way and a lot of credit goes to the technological advancement as well and the labs and pathologists and everyone involved to solve cases and trying to bring justice to the souls departed and closure for the families. Our cooperation and support remains a key however. Thanks for a very nice output. I do appreciate it very much. Will be looking forward for more in the future. Take care my friend. This would be an excellent blog for anyone who is thinking about a career in criminal justice. I enjoy reading here. My dad was a policeman in Detroit for 25 years, before I was born (late baby :). I grew up with retired policemen. They had a special group that met every three months called “The Sunshiners,” all the retired policemen (and there were only men in the group) who had retired to southern California. All of them are gone now, but the memory of their poker games is still with me. Thank you so much for such kind words about my blog. It all started with the idea of a public service and I thought people need to know more about the police officers job and we need to extend our heartfelt thanks for the services we take for granted most of the times. Since I am doing more and more research I am learning a lot and enjoying but at the same time I am discovering that this has become my passion now. We all need to know more and only then we will appreciate what our protectors do for us and what would our society be without them. I appreciate your sharing your experiences with your dad and his friends. They were all very special people I am sure. Thanks for a lovely feedback. Take care my friend. Thank you so much for taking time to read my post and to comment on it . I am very glad that my post has made you realize a new perspective which you never thought of. It’s worth all the effort and research I do for every post and I am also learning so much. Hope to hear from you again. Take care Cameron. Actually I wanted to ask you if I could put your blog on my list of Canadian Blogs? 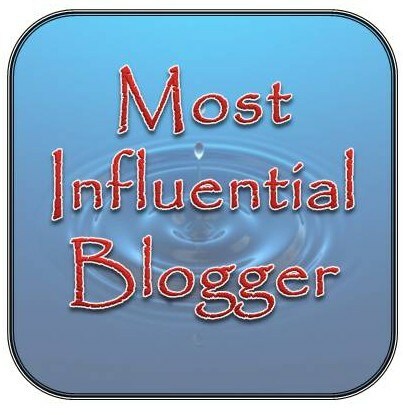 I am compiling a list, and this month I am hosting a contest for a Canadian Blogging Award. Could I link your blog in my list? Yes please go ahead and put my blog on your list of Canadian blogs. Mine is a Candian blog honoring law enforcement and I include American pictures also. But it is about RCMP. I appreciate what you are doing honoring Canadian blogs. I will fully cooperate with you on this. Happy blogging. Take care. Like what I read here, but loved the Aristotle quote. Thanks and of course Aristotle quotes are very inspiring. Thanks for liking it. Take care. Thanks Sharmishtha. I always have a high regard for your comments. I enjoy reading your posts which address the similar social issues that I am concerned about. Take care my friend. I am glad that you like my scribblings! thanks a lot! Thank you so much my dear friend. I appreciate your kind words for me and my blog. I happily accept your award and I feel honored and humbled by it. Thanks for a lovely award. I also would say that I respect and honor the values that you represent that of peace, harmony, inner peace and love for everyone and our planet. I am a staunch believer of the same values. Take care. Bonjour-hi Samina! Interesting post and well-chosen quotes: sooo true & realistic! Hi Melanie. Thanks for a beautiful comment my friend. I love your posts and enjoy reading them and viewing them. Accept my regards and very best wishes my friend. I am so lucky to have such lovely friends. Take care. Very educational post. Since people cross the tape so often, I wonder why they don’t put up a more substantial barricade? Tape is pretty flimsy. Or, they could do both: tape and something that would block out intruders like a lightweight plastic barricade. High enough to keep people out but lightweight enough to put up easily. Just a thought. Thank you so much for liking the post. And thanks for such a wonderful comment and I do agree that something substantial needs to be put around the crime scene along with the tape, so that people who are unaware of the consequences of entering the area may be prevented from doing so. What a nice suggestion and I would like to forward it to them through my blog and who knows some action may be taken. This is how improvement comes in the working of an organization. Thanks for the visit and I look forward to more. Have a lovely weekend. Thank you! I wish I could send you a picture of what I have in my mind. I will try to describe it. When construction is being done on a highway, (at least here in Indianapolis), they put up temporary concrete dividers to separate traffic going and coming. My thought was to have something similar in shape but made out of plastic. I’m also thinking they should be hollow and therefore stackable. This would ease the problem of transporting them to the scene. The only issue I can foresee with this is that once they are in place, cars might bump into them (like with orange barrels or cones). But if these barriers aren’t in the street, then cars won’t be a problem. Also, heavy winds might be able to move them. Maybe they could be designed to interlock with each other to help avoid that. Also, maybe they could be anchored to the ground or something stationary. I’m not familiar with crime scenes other than what I’ve seen on TV so my idea may not be feasible but you’re welcome to forward it if you like. There are no shortages of ideas in my head, that’s for sure! Have a lovely weekend too! Sorry for the late reply but I was doing some research on your ideas for the suggestions about securing the construction sites with plastic barriers. I have forwarded your suggestions to a friend of mine who works for the police department. She was of the opinion that where there is heavy traffic only they have to close down the roads sometimes in order to avoid more accidents with any kinds of barriers . Any ways I asked her to take a look at your suggestions and she said o.k. Thank you so so much for taking so much time and coming up with such nice suggestions. I value your input. Take care, and hope to see you soon. I think people respect the yellow crime scene tape, most of the time. I think there is a somber feeling to the detectives and others who go beyond the crime scene tape and you “caught” that feeling in this post, Samina, very well! I like the way you always have a professional in the field or area that you are featuring,using their words in a quotation. It brings it a realistic sense to the story! Thanks Robin for your ever kind words of appreciation. I like to make the post in my own style which usually is to add a photo, and saying or quotation is a must. I love these touches. I am glad you appreciate them. Thanks for a lovely comment. You take care and God bless. It’s nice to see someone recognizing the soldiers in blue! The caution tags helps to prevent or restrict the entry to one place. The information shared in this page is really helpful for us. I had gone through the previous comments also. I think many important points covered in that section.Keep sharing more informations like this in the upcoming posts too. Thanks for checking out my site and post , I look at this post and I agree with you , I have met some terrific officers and I respect them ,one thing for sure I want them on my side. Police officers can be wonderful, and they can be awful. Power does have a tendency to corrupt, but that doesn’t mean every single person who has it, misuses it. By which I mean, I think the topic of police officers is ‘nuanced’. Ask the Bucharest street kid whose best friend had his head bashed in by a policeman, if police are routinely good, and he’ll say no. Still, they do a hard job! The sanctity of a crime scene–I’d never thought of it in those terms but so it is. Especially when humans are involved. Thank you.